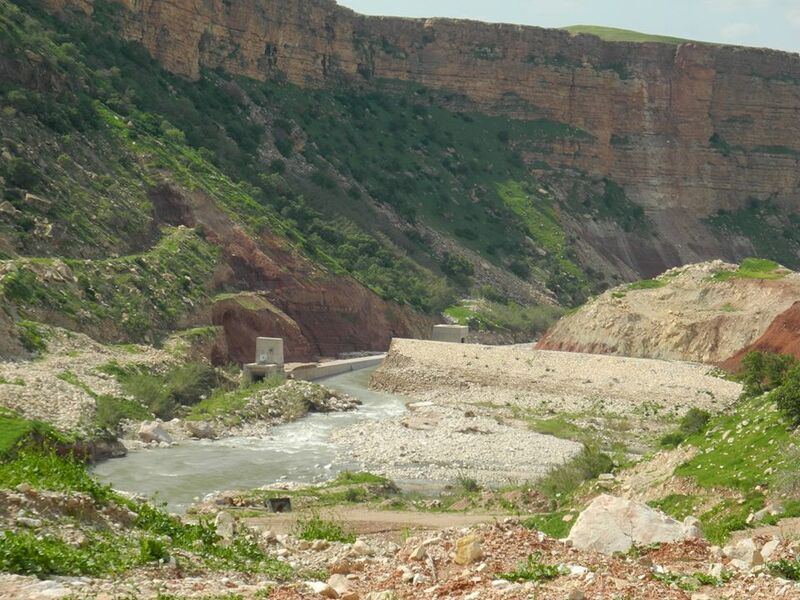 These two dams are under construction in Sulaymaniyah governorate, Kurdistan, Northern Iraq. Surqawshan is located down river from the city of Dukan on a tributary to the Lesser Zab. 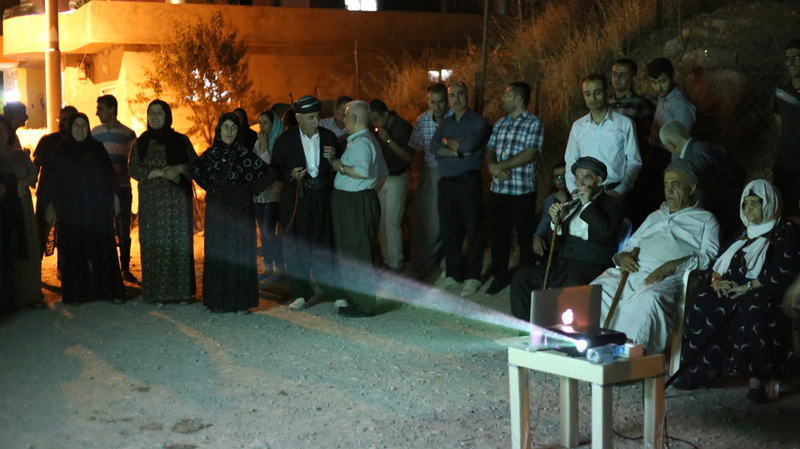 Delezha is located south of the city of Sulaymaniyah and the dam is on a small tributary flowing south towards Kirkuk. How is dam construction done at this site? What kind of dams are these? Both Surqawshan and Basara Dam are rock-filled dams. Surqawshan, which is more advanced in its construction, is 42 meter high and will have a capacity of 42 million cubic meters. It is located on the Tabbin Stream, a tributary to the Lesser Zab River. 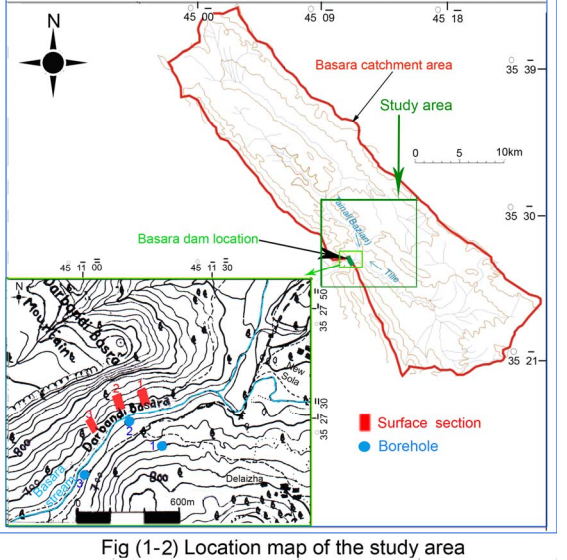 The area is near two important Key Biodiversity Areas, Dukan Lake and Chami Rezan (the latter is located upstream from the dam site). The Basara Dam is located southeast of the town of Sulaymaniyah on a small river called Chami Basara, which is a tributary to the Diyala River (that is itself a tributary to the Tigris). It is near the village of Delezha and is in the middle of a Key Biodiversity Area by the same name. 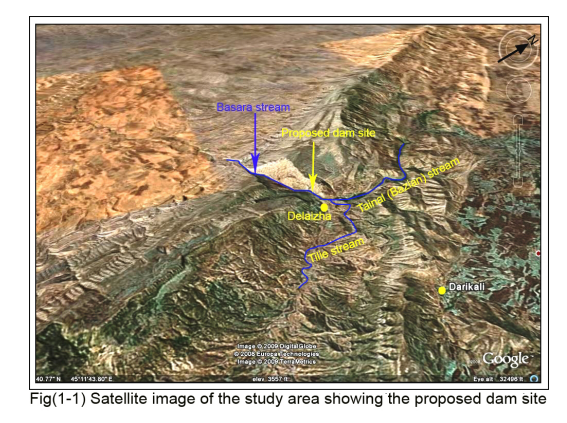 From some engineering studies regarding the dam we know only that it was to proposed to be 46.5 meters high with a reservoir able to hold 59,700,000 cubic meters. What is the purpose of the dams? The stated purpose for both dams is to provide irrigation water to farmers and increase the tourism potential for these areas. It is unclear what the tourism potential of the Surqawshan dam is, because the site is reach by a narrow dirt road that travels through an oil refinery and the river below the dam site has been heavily damaged by a gravel mine. Who (government entity) controls these areas? The Kurdistan Regional Government (KRG) controls both areas. Who regulates dam construction at these sites? Who decided to build dams at these sites? The KRG Ministry of Agriculture & Water Resources planned and implemented these projects with funding provided by the KRG. How long have these dams been under construction? When will they be complete? Work on Surqawshan Dam began in February of 2011and was to be completed by January 2015 but due to poor socio-economic conditions in the KRG and the conflict with the Islamic State, all work has stopped on the dam. Work on the Basara Dam in Delezha began in August of 2013 and it was estimated that it would take just under five years to complete. As with the Surqawshan Dam, all work on the Basara Dam is currently on hold. What companies are constructing these dams? The Ardallan joint venture company is building the Surqawshan Dam with Ahenap Company. 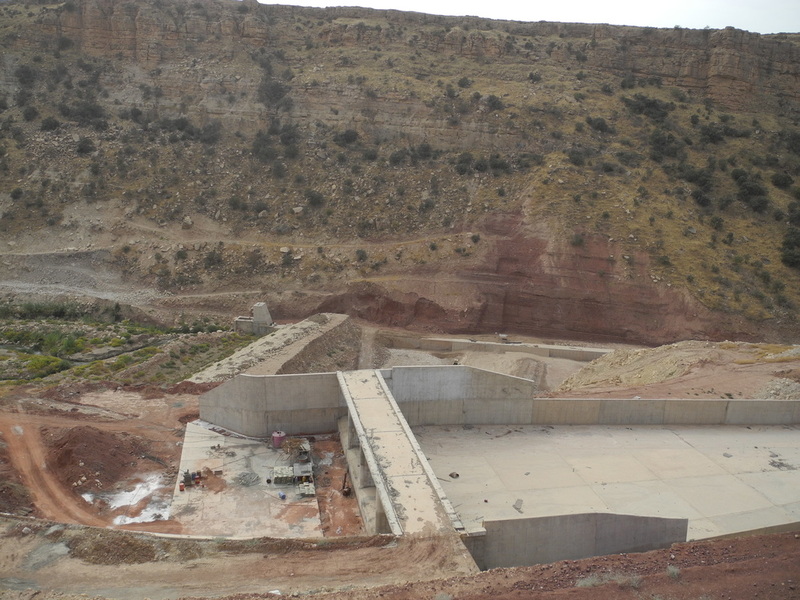 The Basara Dam is being built by three companies: Bamra, Umrab and Hardm. These are all Iranian companies. Who will operate the dams once they are complete? General Directorate of Dams and Reservoirs in Erbil will be responsible for the operation of both dams once they are completed. What protections are there for communities and the environment? There are no clear protections for communities or the environment for either of these dam projects. Farmland and some homes in both areas will be flooded out by the reservoir behind the dams, the current tourism potential of these areas will be lost, and the riverine ecosystem and biodiversity of the Tabbin Stream and Chami Basara will be greatly damaged. There is big community concern, especially from the farmers and local shepherds from the villages in these areas, as well as from the villagers themselves. Generally there are mixed opinion about dams in Iraqi Kurdistan. Many people think dams are good for Kurdistan and they have no experience or knowledge of the problems that dams can cause. This is why it is so important to continue to do outreach and awareness-raising around such projects to make sure people have all the information about the positive and the negative impacts of dams so that they can play a greater role on what projects get implemented in their areas. The key environmental concerns are the losses in the biological diversity of the rivers and riparian environments including plants, invertebrates, fish, birds and other species which are dependent on the river ecosystem. This will affect both the upstream and downstream environments of the river. Environmental Impact Assessments for dam projects, though required by Kurdish laws, have not historically been done for dam projects. But these areas are near or part of Key Biodiversity Areas in which only few studies have been done and these dam projects will result in species declining or going extinct in these areas. Other environmental concerns from dam construction are: blocked fish migration; trapping sediment behind the dam, which can fill the reservoir, cause erosion downstream and force the river to deepen its banks, endangering downstream communities, roads and bridges; decreased groundwater downstream; declines in water quality; and increased potential for catastrophic releases and dam failures. Who can you talk with to address your concerns about dam construction in the region? Abdulstar Majeed is the current Minister of the Kurdistan Ministry of Agriculture and Water Resources but the website for the Ministry (moawr.krg.org) does not currently work. 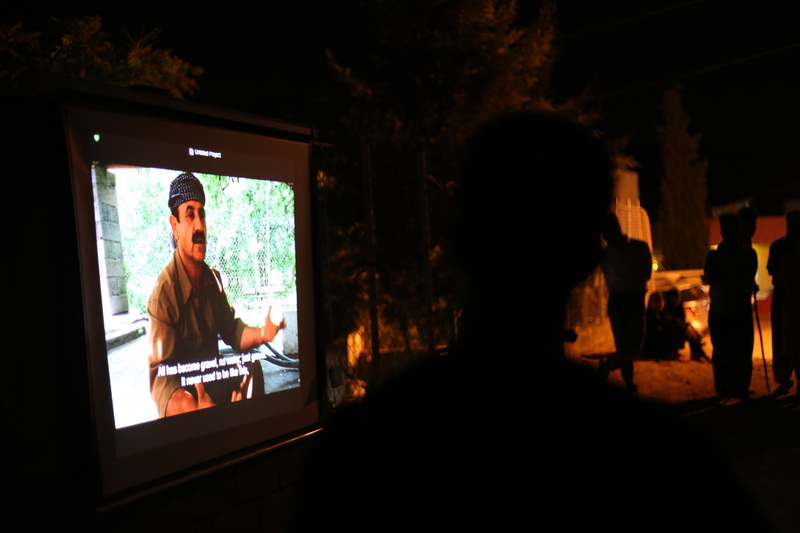 Erbil strategy meeting and way forward for the Save the Tigris Campaign.